When I first learned Gemarah in yeshiva, I was given a list of common vocab. words and phrases and I had to memorize the Aramaic and Hebrew. This sufficed to help me understand most of the common Gemarah language. I am looking, now, more for a "basic" book in Aramaic that focuses more on the structure and grammar of the language and, perhaps, its comparison to Hebrew. I.e. - I am not looking for Jastrow or some book that cross refs. Talmudic terms. That's "incidentally" useful for me. I am looking for something that focuses more on the general structure of Aramit to help me understand how the word structure / grammar fits into the Gemarra by citing a few examples. Can someone recommend a good book that has this approach and explain some of its highlights. I'm not seeking a list, here. I just want to get a sense of what's available that will do the job. I would recommend a few different texts. Chiefly, since you are looking for something basic and fundamental, I would encourage you to check out Yitzhak Frank, Grammar for Gemara and Targum Onkelos (Jerusalem, 2009). He goes into detail as regards the relationship of different Aramaic dialects to one another, their relationship with Hebrew (Biblical and Mishnaic) and presents a basic grammar of Talmudic language. For what you are looking for, this might be the best bet. If you wanted something a little bit less "basic", but somewhat more direct as regards the relationship between Aramaic and Hebrew, have a look at Sabatino Moscati (et al), An Introduction to the Comparative Grammar of the Semitic Languages (ed. S. Moscati; Wiesbaden, 1980), or Patrick R. Bennett, Comparative Semitic Linguistics: A Manual (Eisenbrauns, 1998), which is somewhat more basic than its title suggests. So too, if you decide that you want something that focuses a little more heavily on the grammar of the language and less on its relationship to Hebrew, I personally found very useful Alger F. Johns, A Short Grammar of Biblical Aramaic (Michigan, 1972) and Wm. B. Stevenson, Grammar of Palestinian Jewish Aramaic (Oxford, 1962) - although note that neither of these are for the gemara. The first will help with Daniel, Ezra and some targumim and the second with the Yerushalmi (and various other targumim), but unless you are going to delve into a lot of detail, I don't think you'll find either so different from the grammar of the Bavli that they will fail to be of assistance there either. W.M. Thackston, Introduction to Syriac (Maryland, 1999). i recommend that instead of a book you listen to a 5 part lecture series from Web Yeshiva featuring Rabbi Dovid Fink who goes into the exact details you are looking for. The signup is free, and you can download the videos. I'm not sure why you would say that Syriac is "indistinguishable" the Aramaic of Talmud Bavli. They are entirely different dialects of Aramaic! As far as dialects go, Mandean is closer to Jewish Babylonian Aramaic than Syriac, both in terms of geography and features. A good practical grammar of Talmudic Aramaic would be A manual of Babylonian Jewish Aramaic, by David Marcus. A more thorough and up-to-date grammar would be Elitzur A. Bar-Asher Siegal's Introduction to the Grammar of Jewish-Babylonian Aramaic. Not the answer you're looking for? 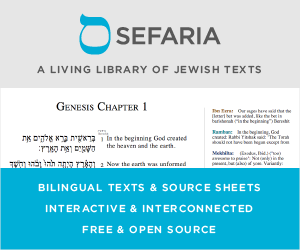 Browse other questions tagged product-recommendation jewish-books talmud-gemara aramaic .